Death is a big business, and if you're a regular reader, you know this already. It is a highly CataCombocompetitive market, with many people hoping to profit off of a service category that is needed by everyone (except for the immortal, like vampires - but for you skeptics, we can overlook this fact). Because of the stiff competition, many businesses are forced to get creative with their products and services. The latest one will be music to your forever at rest audiophile ears. Forgive me for bringing light to a dark subject, but that's exactly what Pause Custom Sound Systems does. While they have created other home entertainment/sound products, they decided to market themselves by creating a truly unique product. That item - called the CataCombo - has now become their headlining product, and they are revolutionizing the business of death in all new ways. 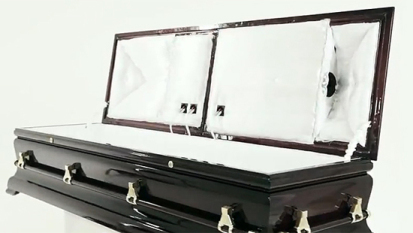 The CataCombo from Pause is a coffin for those that just can't stand to spend the rest of eternity in silence. If you are a person who thinks being buried in a suit, and having loved ones cry at your grave site while gifting your with flowers that never find their way below the surface is overly traditional and boring, then this is a product that you should appreciate. After that suspenseful introduction, that is a suitable way to introduce such a business and product, I will tell you what the CataCombo is precisely. 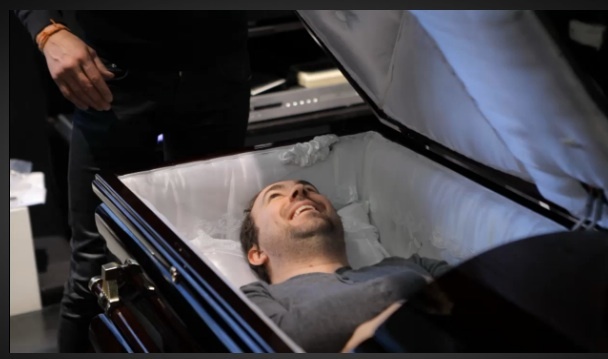 It is a coffin with a high-end sound system installed, so the speakers can deliver music to those contained in it for their afterlife. It definitely provides more comforts of home, and while this may not prove to be a benefit to the person in the coffin, it is a reassurance to those still among the living. Particularly with its feature that eliminates the old-fashioned need to gift flowers. What you probably wouldn't expect is that the CataCombo has a tombstone - called the CataTomb - that acts as a music server. Via an app, loved ones can select music and create custom playlists that will be broadcasted through the coffin's speakers. For grave visitors, this is a much more personal way to express their condolences, and even play a role in the life (or afterlife) of the deceased. 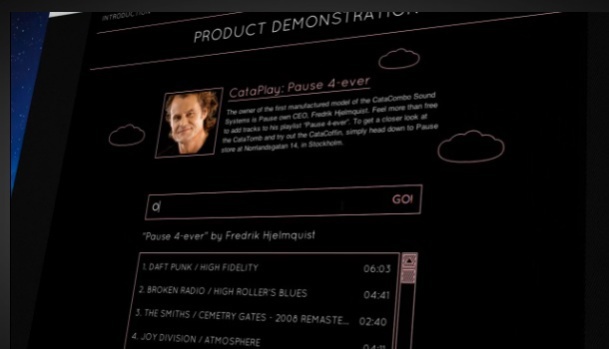 Pause is not stuck on a specific formula, and is willing to provide customized coffin entertainment options. They have seen requests to include electronics like televisions, to take the afterlife media experience from audio only, to visual stimulation. This is definitely a company to watch to see what they do next for the business of modern death.